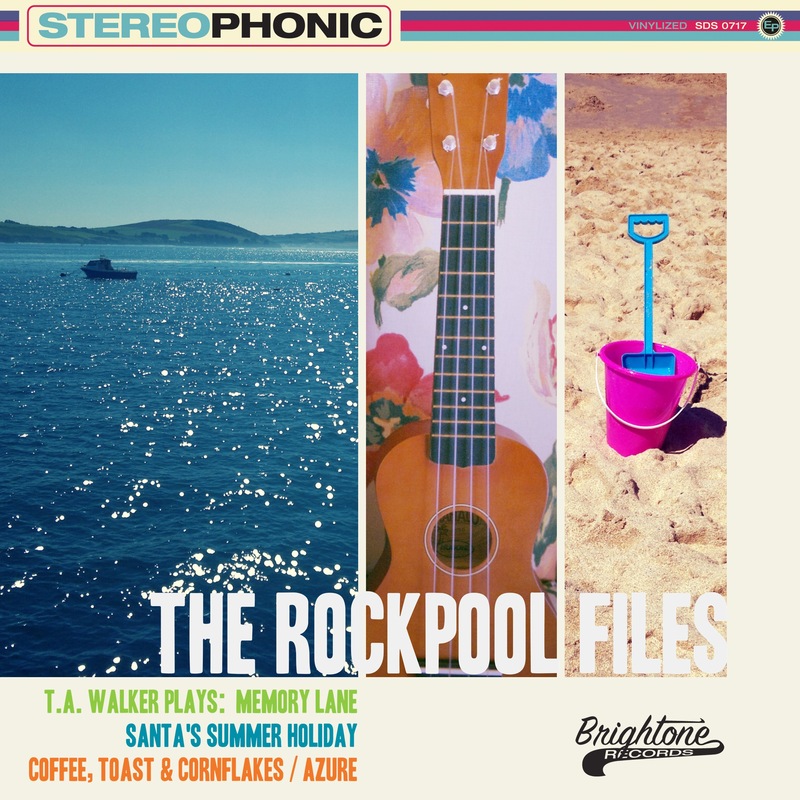 …and here it is: “The Rockpool Files”, a four-song EP (well, three songs and one instrumental) with a loose “summer” theme running through them. Two of the songs (“Memory Lane” and “Santa’s Summer Holiday”), I wrote for 50/90 (ongoing; I haven’t given up on it quite yet…); “Azure” is a tweaked version of a demo of the Bismark bs-16i SoundFont sample instrument player app, that I recorded in the spring; and I wrote and recorded “Coffee, Toast And Cornflakes” a few months ago, but didn’t quite know what to “do” with it. All four tracks have been remixed and, in some cases, generally tweaked and buffed up for release—I laid down a bit of extra vocals on “Santa”, mainly to correct a horribly flat note or two on the original recording, and “Azure” got a bit of editing to fix slips and mis-steps here and there. I produced the cover using the iPhone app VinylizeMe—the photos were all my own work, but the layout is a VM production. If you’re an iDevice owner and have a penchant for vintage 50s and 60s record covers, it’s a good fun app to play around with (and I have at least one 50/90/FAWM friend who produces all his album covers with it! ).